Sure, the Marlboro man looked pretty alluring at one point in time. But you’ve come past that now, haven’t you? The cigarette stub has stayed with you, though. It might help to reflect on what it does to you – this innocuous stub. As you continue to drag on it, watching that little glowing tip consume the tobacco, your lungs are taking in more than they can deal with. Give it some thought. Smoking affects our lungs in more than one way. It also affects other organs in the body apart from the lungs, triggering increased acid production which could lead to peptic ulcer and stomach cancer. There are also higher chances of myocardial infection, increased atherosclerosis and gangrene of lower tongue. Smoking leads to decreased mobility of sperms in men leading to infertility and decreased birth weight of baby when a women smokes while she is pregnant. Smoking causes decreased local immunity leading to infections and cancer. Cigarette smoke consists of more than 4,000 toxic molecules which are injurious to the epithelium. Few of these chemicals are carcinogens and lead to increased risk of lung cancer. 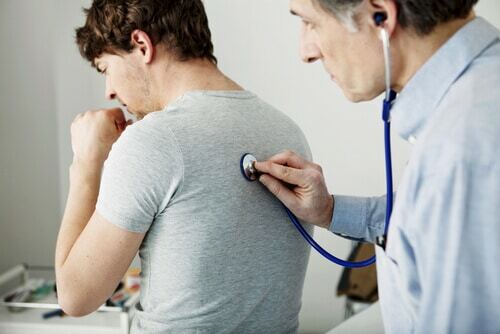 The most common lung problems associated with smoking are chronic bronchitis, and Emphysema which is together called as Chronic Obstructive Pulmonary Disease. In chronic bronchitis, there is increased secretions in the respiratory tract which leads to excessive cough and sputum production. In Emphysema, the primary damage is at the level of alveoli (air exchange units of lungs) where their walls get damaged and effective area for exchange of gases is decreased. Chronic Obstructive Pulmonary Disease (COPD) is seen in prolonged smokers who are into this habit for the last 10 years. 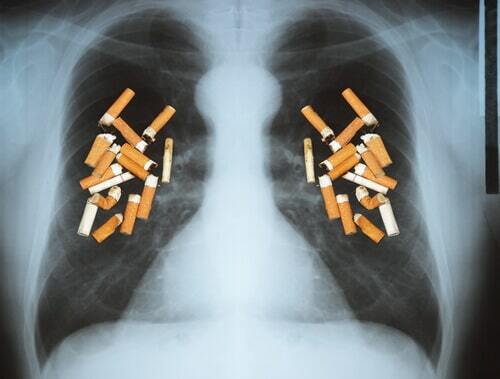 The damage caused to the lungs is permanent and cannot be reverted. When do people start showing symptoms of COPD? We normally use only use 10% of our total lung capacity. During exercise, it may go up to as much as 30%. It is only when smoking has eaten away more than 50% of total lung capacity that the person becomes symptomatic. Why do people become symptomatic even after quitting smoking? The lungs begin to age after the age of 35 years due to which 0.5 to 1% of the total capacity of the lungs decreases each year. In habitual smokers, the reduction in capacity of lungs is accelerated and depends on the amount of smoking. It ranges from 2-5% every year. Once smoking is stopped, the rate of reduction in lung capacity remains at 1-2%. 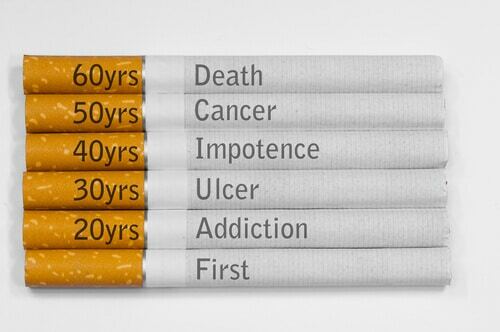 That is the reason why smokers who have quit smoking still face the same problem. If the problem is not diagnosed at the earliest and treated there are chances of increased stress levels of the heart which can also lead to heart failure. How does COPD lead to heart failure? As the oxygen exchange in the lungs decreases, there is a significant decrease of oxygen in the bloodstream as well and this leads to pressure on the heart as the heart needs to pump more blood to meet with the oxygen demands of the body which finally leads to heart failure. How can one prevent COPD and heart problems due to it? The best way to a healthy heart is healthy lifestyle and healthy habits. Smoking causes a lot of pulmonary problems so the best prevention is to stop smoking at the earliest or not to smoke at all. If you are a smoker for 10 years or more, get your lungs checked and examined at regular intervals by using a chest X-Ray and consult a pulmonologist.